How can European businesses continue to compete in the world market? In the face of a fragmented and totally disintermediated European market, American and Asian players derive their power from huge domestic markets whilst also attracting investments from major European groups. While European bodies are aware of the problem, at economic, cultural and fiscal levels, they are struggling to reach the same potential in their own market. The only solution for Europe to succeed on such a grand scale is to build on cooperation and collaboration. Europe as a whole has considerable technological advantages. The European Union publishes the largest share of scientific publications in the world (ahead of the United States), but continues to fall behind in many areas including energy, food, health, climate and technology. Difficulty exists in establishing a common policy, harmonising research ambitions and exceeding binding regulatory frameworks. In this context, the risk of a technological relegation remains quite conceivable, in an economy penalised by high production costs. Yet the historic example of French company Airbus is proof of Europe's ability to innovate. The pooling of European expertise in aeronautics began in 1965, when Air France, British Airways and Lufthansa decided to join forces to design aircraft which would develop the European air network. In thirty years, Airbus has established itself as the world leader in the sector succeeding in highlighting European know-how and becoming a legitimate object of pride in Europe. The manufacturer has exceeded its main competitor, Boeing and now claims 56.6% of the civil aviation market share. China Aircraft Leasing Company (CALC), has just announced an agreement with Airbus worth 4.5 billion euros for the acquisition of fifty medium-haul A320 NEO aircraft and Emirates have recently announced an order of 36 A380 aircraft giving Airbus "visibility for at least the next ten years", according to Tom Enders, the group's CEO. While it is difficult to capitalise on a Western strategy in the light of American power, a European strategy is possible, via a logic of punctual cooperation that would enable the continent to maintain itself, among other things, in the technological world race. Blockchain, artificial intelligence, biotechnology, drones, cyber security, Cloud are just some of the domains already shaping the future of mankind. However, according to a Bloomberg survey published in 2011, only seven of the top 100 high-tech companies were based in Europe. The Financial Times points out that eight of the largest European companies combined equates to 10% of Facebook or 6% of Google. The same is true if compared to Asian powers like Baidu, Alibaba or Tencent Holdings with WeChat. Despite its undeniable strengths (its size, the power of its training, its high level of technological know-how), Europe suffers from its greatest richness: the diversity of its countries, its populations and its resources. Every company is born to a local market that must be conquered before tackling neighbouring countries, according to a dedicated strategy and necessarily more perilous than homogeneous giants like the United States or China. Yet the European talents coming from advanced training are not lacking: the brain drain to the United States and Asia continues to widen the gap in areas of necessity such as artificial intelligence. Is Yann LeCun, director of the Artificial Intelligence Research Laboratory of Facebook, the pioneer of artificial neural networks, not French? A report published in 2016 by the Economic Analysis Council (CAE), "Preparing France for the growing international mobility of talents", addresses the increasing number of our graduates who are leaving to work abroad, contributing to the prosperity of other countries, is symptomatic of the harmful pattern that is established for the hexagon, and more widely for Europe. Although the number of young foreign graduates who have settled in France is higher than that of the French who go to work abroad, the balance remains positive only in appearance. The authors of the report fear that the economic contribution of the arrivals cannot offset the cost of public subsidies to education and the system of care and retirement for those who return after having spent their working life abroad. To cope with the mobility of brains, Europe must therefore improve its attractiveness and harmonise the research and development sectors in order to move in the same direction. One example to follow is that of the Scandinavian countries, Estonia and Denmark, which boast a measurable numerical strategy. The increase in budgets-1.81% of its GDP for research in Europe, compared to 2.68% in the United States-is therefore not limited to high technologies. There is an urgent need to manage the fragmentation of Europe by ensuring the construction of a framework conducive to the emergence of talents and a perennial innovation. A first step would be to relax the regulatory and fiscal constraints that sometimes cripple the international growth of businesses. 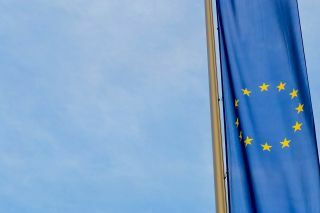 The arrival in 2018 of the GDPR Act (General Data Protection Regulation) is an example of Europe's obsession with regulation. Its objective? To sanction companies that have not set up a system-indispensable, certainly-for data protection. This means, in real terms, further increasing the steps to create a company or to establish foreign entities in Europe, where they are facilitated by the greater flexibility of the American and Asian regulations. In order to enable Europe to fight on equal terms, the construction of a new framework must also take account of Europe's cultural mistrust of new technologies. As a FIFG survey of 10 October 2017 points out, 64% of the French say they are "worried" about the development of artificial intelligence. The Americans and Asians do not seem to share this apprehension, or at least to a much lesser extent: they know that those who control artificial intelligence will have their eyes on the education, health, banking and finance of tomorrow. The digital industry has an impact on all sectors and industries: it is not up to the general public, but to Governments, to become aware of it in order to position itself on the world stage. France - Leading by example? With its thousands of researchers, its inventors of the digital world such as INRIA and its biotechnology groups such as Eurofins Scientific, France ranks among the first European powers to be able to contribute to this world market. The Fintech players, for example, start-ups that reinvent finance using technology, represent more than one million jobs in France, or 4% of its GDP. Our country remains the leading European country for the use of the Internet in banking services. It holds many dynamic entities such as Lendix, Ulule, Tiller, Wynd and Leetchi; the events devoted to the model multiply, in the image of the Paris Fintech Forum or Fintech Revolution. Our German and English neighbours also have their own thriving Fintech hubs. In the face of the more centralised networks of global giants, the time has come for concentration and cooperation, especially between universities and businesses. To last, grow and to innovate, the European Union must continue the path which is most successful and which is at the origin of its creation: that of collaboration. In a diverse and multi-cultural continent, businesses must create and work to common principles if they are to compete with other world markets. It is on this condition that Europe will be able to regain its technological leadership.